“Sir…,” I called out a voice. 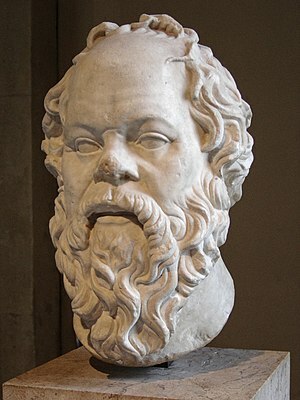 The philosopher Socrates looked up. “I came to tell you a news,” said the man trying to tell something. The man who came fell silent. Translated by me from "Ullame Ulagam" by Thenkachi Ko Swaminathan (publishers Vanathi Pathipagam).